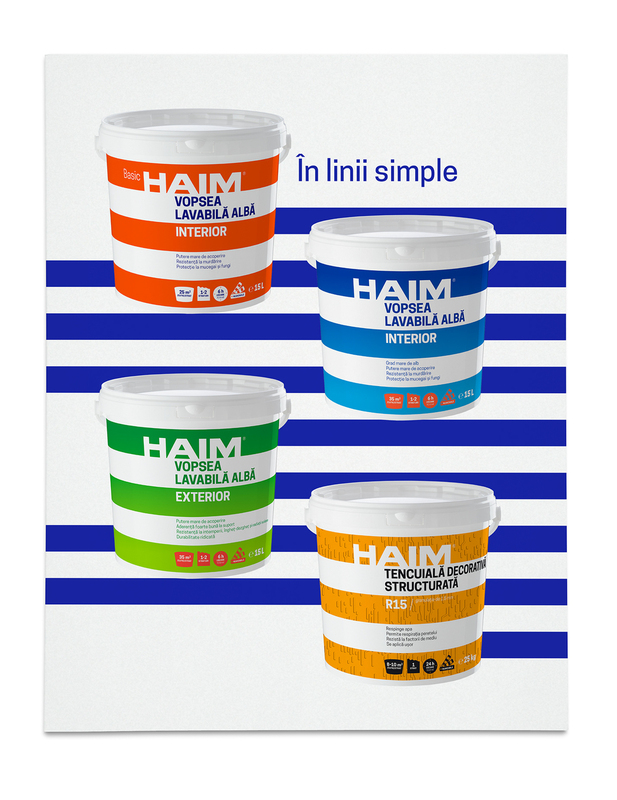 Haim is a paint brand created for Polichim, a local producer based in Baia Mare, Romania. The brand is starting fresh on a competitive market aiming to reach nation-wide presence. The name we created speaks about comfort in the most important space for people: home. 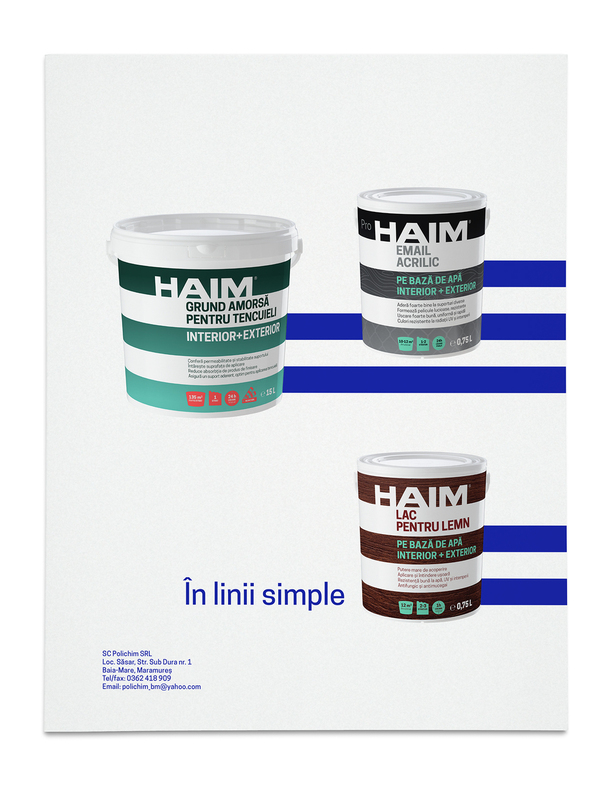 Haim may not say much to a Romanian speaker, but it sounds open and reliable. It stands with its feet on the ground. It has a Nordic feel, though the word comes from a German word - heim means at home (ro. acasa). For the packaging, we used the stripes to create an extensible system that will allow the brand to move on different product categories and price levels. Each package has a clear structure, straight-forward and easy to follow. You have all the key information on the frontside and step-by-step instructions on the backside.